Make the women and the children feel comfortable, lively, good, and confident in their own styles with our Customized Ladies and Juniors Apparel at events. Our extensive collection of Short Sleeve and Tanks, Athletics, Sweats, Youth and Junior Apparel comes in vibrant designs and colors. Whether you are organizing birthday and sorority parties, gym or salon meeting, picnics, or sports summit, these custom printed women’s t-shirts will lift up everyone’s spirits. Our women’s fitted custom t-shirts are bound to boost up your confidence to help you conquer challenges that comes your way! With our selection of monogrammed women’s clothing, include motivational messages and eye-catching logos that will get the word out to your intended audience. Distributing these women’s fitted custom t-shirts at health fairs, family picnics, charity walks and runs will inspire women from all walks of life. On behalf of your organization, recognize the contributions of women patrons, guests, and employees by giving them Custom Ladies Apparel as gifts of appreciation. At family trips and reunions, make everyone smile by adding fun family motto or statement as you give these Custom Ladies and Junior Apparel as surprise gifts. Appreciating female customers, audience, guests, and patrons by giving them special Custom Ladies and Junior Apparel as presents are great ways to show them that you care! Our extensive range and style of custom printed women’s t-shirts comes from renowned brands such as Gildan, Hanes, Bella, Russell, Alternative, Jerzees, Team 365, Alo Sport, American Apparel, Adidas, Anvil, New Balance, Champion, Fruit of the Loom, Devon & Jones, and Tie-Dye. 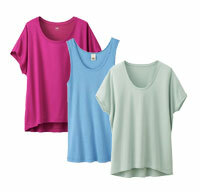 Our monogrammed women’s clothing is comfortable, fashionable, and well-fitting promotional items to showcase your brand’s interest of women’s needs. 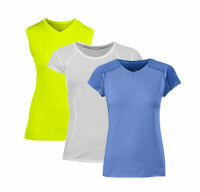 Find the perfect women’s fitted custom t-shirts to acknowledge women at tradeshows, promotional and marketing events. Our Custom Ladies and Juniors Apparel might be the best way to reach out to the female and children audience at fundraisers, and giveaways. With our impressive clothing line, you can select thoughtful outfits for your women employees, patrons, and team members based on the weather conditions. 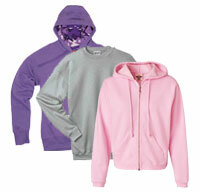 From the varied collections, you can find the right apparel you need for your giveaways and promotions.